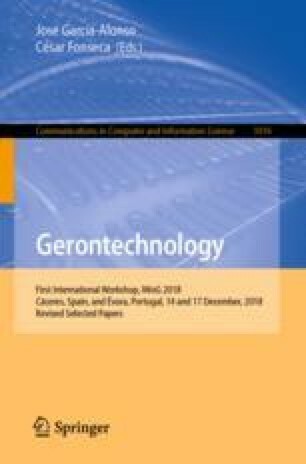 The purpose of this study was to identify the new technologies that nurses could use to increase the quality of life on an elderly person with leg ulcer. Methods: it was made a systematic revision of literature with qualitative synthesis and meta-analysis. Results: Elderly persons with chronic leg ulcers frequently experience multiple disabling symptoms and these symptoms are highly related with impairment of quality of life. Nowadays, the technology is prepared to improve diagnosis and treatment of illness. For the leg ulcer, one of the newest technologies is electrical stimulation on skin with two types: electrical stimulation therapy and electroceutical treatment. These therapies consist on the application of microcurrents of electric energy to replace the current of injury which has become disrupted in chronic wounds. The therapy reduces the wound size, pain and exudate levels. Conclusion: With this recent investigation and with the enforcement of new technologies in association with the usual therapies it is possible to improve the quality of life of the patient, however, it is extremely important to continue the investigation on this area.